This luxury waterfront townhome is located in Keowee Key in the Sunrise Pointe section with water surrounding this lovely peninsula. This home, which does not have a basement, has an elevator for easy movement between the living spaces on 3 levels above grade. The ground level has a two-car garage with plenty of storage. Enter from the foyer as well as the garage. This level features a full bath and two rooms, one leading outside to wonderful and almost flat gardens and Lake Keowee. Each of the two rooms is equipped to house guests. The owners added a custom Murphy Bed, which remains with the home. This room is also used as a "rec room" and leads out to a lovely patio. The elevator serves all three floors and it is perfect for loading in suitcases, groceries, and people! The 2nd level is the main living space with its "L" shaped living and dining room. There is a large kitchen with granite counters, stainless steel appliances, a walk-in pantry with a built-in desk, breakfast bar, and ample cabinets. There is a guest bedroom with a full bath as well as a powder room. The elevator services each of the 3 levels. The Master bedroom suite with its large sitting room, tray ceiling, and spacious Master bath and laundry room, offers privacy, lots of space, and gorgeous views, and is located on the 3rd level. The walk-in closet leads to the walk-in attic. The current owners added the large, tiled, walk-in shower that replaced the original. There are hardwood floors, tile, and carpet. An intercom makes communication within the house easy and allows you to speak with guests at your front door. All the window treatments remain. 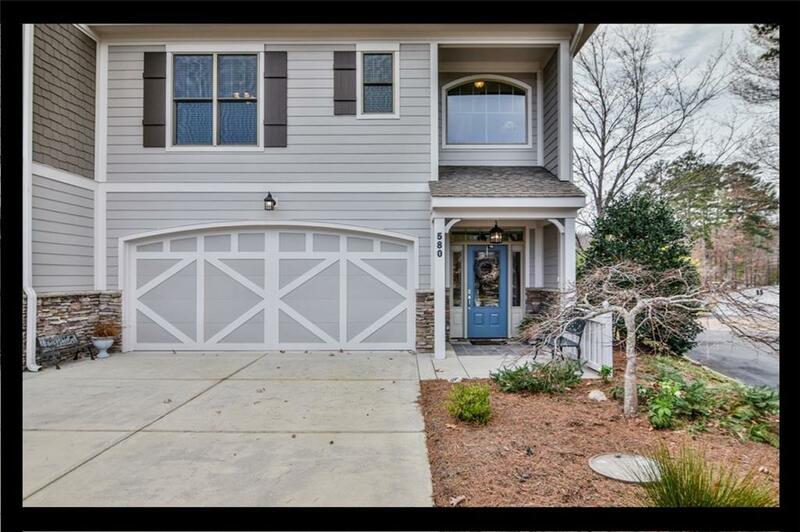 This is your opportunity to own a beautiful 3 story, end unit townhome with incredible views of Lake Keowee. There is a private boat slip included for your use as well and it just steps away from your home. The boat slip that the owners currently have access to is the 1st on the right.